Hillary Voter Fraud Recount Strike Force! I told you so. Hillary Clinton and her deplorable criminal comrades are not through with trying to destroy the nation under their planned takeover. Having lost the presidential election fair and square – despite the fact that Hillary Clinton got millions of questionable votes by criminals, illegal aliens and dead people in states like California, Illinois and elsewhere – the Wicked Witch of the Left and her accomplices like John Podesta (Hillary's corrupt campaign manager), Cheryl Mills (a crooked Clinton lawyer and confidante), Huma Abedin (a Palestinian with ties to the Muslim Brotherhood and very close Hillary Clinton "confidante"), Harold Ickes (mafia connected advisor), "Vicious" Sid Blumenthal (a sleazy reporter) and Terry McAuliffe (who is a Clinton fundraiser/greaser and now Governor of Virginia where a lot of the illegal-alien voting fraud occurred), have put up Green Party candidate Jill Stein (a dishonest, radical leftist socialist), to raise millions of dollars to start a recount of votes in three crucial battleground states: Wisconsin, Pennsylvania and Michigan. The goal of Hillary Clinton and Jill Stein is to create doubt and thus undermine the legitimacy of the Trump Presidency, raise huge sums of money from naïve donors and ultimately to overturn the election of President Donald Trump! I had predicted that the Clintons and their socialist, atheist, pro-Muslim, anti-law enforcement Black Lives Matter enablers would not go quietly into the night. Despite appearing to concede the presidential election, Hillary Clinton will never go away, unless convicted and incarcerated for her myriad crimes. She is an evil force! The only way that you stop someone like this, is to keep the pressure up and finish her and her husband Bill Clinton off in our justice system! That is why I objected when President-Elect Donald Trump naively took Hillary Clinton at her word after he accepted her concession, adding that she would not be prosecuted under his incoming administration since she is a "good person" and "has already suffered a lot." Well, Donald Trump got caught up in the mainstream media-induced desire to be liked and let his guard down. Freedom Watch, you, and I will not let our guard down. Unless these recounts are dealt with and unless the Clintons and their criminal accomplices are prosecuted, they will rise again like a deadly virus until the body politic of the nation is totally corrupted and destroyed. They are a threat on our freedom and the continued existence of the republic. They are like a life threatening disease that must be cured through whatever legal means we have at our disposal, before the country goes down for the count! In this regard, our first order of business is to ensure that the planned Clinton-Stein recounts in Wisconsin, Pennsylvania and Michigan are done fairly and honestly. Already, Jill Stein and her band of ultra-leftists, serving as a front for Hillary Clinton and her criminal comrades have raised about seven million dollars to try to overturn the presidential election results with phony recounts and fraud. 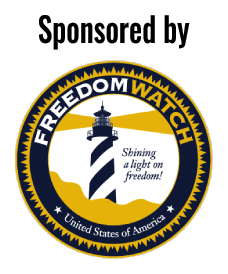 To prevent this, Freedom Watch and I, with your strong support, plan to intervene in the recounts, as I did in 2000 at Judicial Watch, when we intervened in the Gore v. Bush case to ensure a free and fair result there. You might remember watching me as the Chairman and General Counsel of Judicial Watch participating in the trial in Tallahassee, Florida, before Judge N. Sanders Sauls. This case, which incoming President George W. Bush won ultimately at the Supreme Court. Now, with even greater stakes for the country, Freedom Watch, you and I must do this again to prevent Hillary Clinton and her corrupt crowd from illegally claiming the presidency and the White House. We must together fight her and her Green Party puppet Jill Stein tooth and nail and put down their fraudulent efforts to overturn the presidential elections results. Time is short as these recounts must be legally quashed to allow President Elect Trump to take office in January and avoid a disruptive fight that will throw the nation into chaos and be highly destructive. I therefore call on you, our friends and supporters to donate handsomely and greatly to this urgent and vital cause, before it is too late. Already, Jill Stein and the Clintons have raised about seven million dollars and we must have the financial resources to assure electoral integrity before our Great American Renewal is killed through fraudulent voting recount scams like the one pulled years ago in Minnesota on behalf of now-Democrat Senator Al Franken. Time is short and we need your strong financial support NOW! If we wait all could be lost! For the first time since President Ronald Reagan, We the People have elected a president who will likely work with Freedom Watch, you and I to clean the corrupt swamp in Washington, D.C. and restore the vision of freedom and liberty that our Founding Fathers intended. May God save America and you and your loves ones with his Divine Grace and our hard urgent non partisan work.